DataTrak is a web-based club management software designed to help the health and fitness industry centralize and manage member, employee and financial data with member check-in, electronic records, schedule management, employee management, POS, inventory management, reports, and more. DataTrak gives quick and central access to all club information, allowing users to access all club information instantly online from any internet-enabled device, including desktops, laptops, tablets and mobiles. DataTrak enables users to manage prospective members, mobile club management sales and electronic agreement entry with mobile sign-up and enrollment forms, marketing campaign tracking tools and digital signatures. DataTrak also offers member check-in, alongside biometric fingerprint check-in, with fingerprint, barcode key tag, key fob, pin code and biometrics support. Member management and electronic member documents allow users to manage club memberships and update member information in real time, as well as store documents with paperless files for cancellations, freezes and waivers. POS (point of sale) and inventory management technology enables users to track petty cash and ring up items by barcode, buttons or search, plus view and return items from previous sales. Users can also create catalog items, control stock, and track vendors and unit cost. DataTrak’s schedule management tools allow users to manage departmental calendars, verify class attendance and appointments, and track services, classes and sales opportunities effectively. To enhance user productivity, DataTrak allows users to send automated event reminders via email/text. DataTrak’s employee management tools enable users to create, view and manage employee data. Other DataTrak features include dashboards and reports, gift card management, locker management, disaster recovery, PCI compliance, and more. Overall, I think that DT is heading in the right direction but changes need to be made. The software needs to be updated and there are a few changes that I would really like to see (ex. the ability to customize). It could also benefit from a 'makeover' as in all honestly, the visual of the program is not appealing at all. There were A LOT of different functions, which was mostly fantastic. It was also fairly easy to navigate and train new employees on. Daily sign ins and scheduling for personal training clients. Updated client files and notes that could be used for upcoming sessions. Employee income tracking on a weekly basis.The ease of use with DataTrack was great. Took me less than a day to learn and having a tool that would quickly let me change my schedule was great. Datatrack allowed me to see which of my clients sessions were funded and which werent. This saved me countless hours by not having to check or client payment files. Great reporting, Easy to use, Very easy to convert from old system, Minimal headaches, Password changes great for complianceEasy to navigate and easy to get with we need. I think the best part of the system is the support and the responsiveness of the support team. 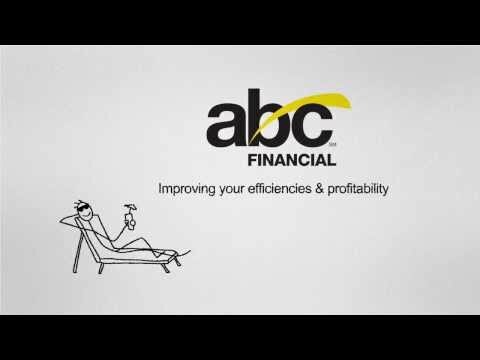 Contact ABC Financial Services for detailed pricing information. DataTrak supports quick and secure member check-in options via biometric fingerprint and barcode key tag, key fob, pin code or name search. Electronic member documents and signature capture enable users to store signed paperless forms and agreements for cancellations, freezes and waivers. DataTrak’s scheduling tools enable users to track services, classes and sales opportunities as well as class attendance and appointments accurately online. DataTrak supports multiple calendars and locations management. An employee portal gives staff members the flexibility to schedule or cancel appointments and identify hours of availability on their own via web or mobile portals. The DataTrak dashboard provides a snapshot of the user’s daily, weekly and monthly goals, allowing them to track their progress with simple graphs and charts. Below are some frequently asked questions for DataTrak. Q. What type of pricing plans does DataTrak offer? Q. Who are the typical users of DataTrak? Q. What languages does DataTrak support? Q. Does DataTrak support mobile devices? Q. Does DataTrak offer an API? No, DataTrak does not have an API available. Q. What other apps does DataTrak integrate with? Q. What level of support does DataTrak offer?